The Ram is an integral part of the Fordham community and an invaluable member of our spirit squad. He promotes school pride at University athletic events, including football and men's and women's basketball, while carrying on the many traditions of Fordham to the next generation of fans. The Ram also makes a variety of on- and off-campus community appearances each year, his reach extending far beyond the athletic landscape. In 2016, the Ram was immortalized with his own bobblehead - a giveaway item at the final regular season home game for men's basketball. The promotion resulted in a sold out crowd that witnessed a come-from-behind victory over the Rhode Island Rams at Rose Hill Gym. 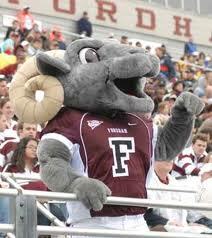 For a fifty-year period from 1925-1975, Fordham had a live ram for a mascot. Named Ramses (I-XXVII), the ram lived on campus and attended sporting events. Hijinks often ensued between Fordham and other schools, notably Manhattan - who kidnapped Ramses on multiple occasions. More recently, the mascot has entertained all fans, young and old(er), with a blend of acrobatics, energy and excitement. Student volunteers maintain the tradition as our mascot at various events throughout the year, their contributions largely underappreciated, but never unnoticed. 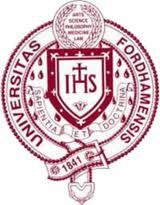 Magenta was originally the school color, but it was also used by Fordham rival, Harvard. It was unacceptable for two school to have the same color which was the situation in 1874 Rev. 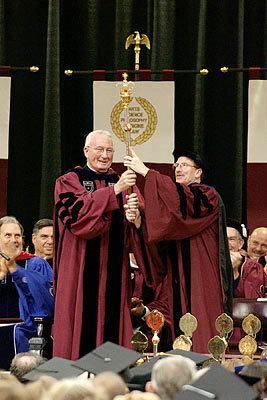 William Gockeln, S.J., became the newly installed College president. 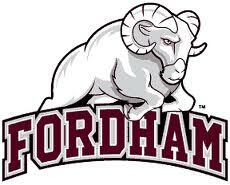 One of the matters discussed at the historic meeting was the choosing of an official College color that would belong to Fordham and Fordham alone. With matters at a standstill, Stephen Wall, class of 1875, suggested maroon, a color that was not used widely at the time. These samples came in due course and were submitted to the committee. It received the unanimous approval of the committee, was adopted, and has been the color that has carried Fordham through many a victory. An ironic footnote: Harvard also stopped using magenta in favor of crimson.